Just before Christmas, one of the moms from our 3rd grade class hosted a gingerbread house decorating party for some of her daughter’s friends. We happened to be on the guest list and had a blast. Not only was it fun because the kids had a ball decorating their houses with all sorts of edible sweeties, but she had a spread of real food (and beverages) for those of us who don’t find Skittles and Everlasting Gob-Stoppers nearly as interesting as we used to. Now, if you know me at all, you know I’m not a fan of Costco for a litany of reasons, and I had successfully avoided becoming a Costco member for a long, long, long time. But then we got a dog. And dog food is a lot cheaper at Costco. Also, apparently I can buy Fage yogurt and 12-grain bread at a deep discount. Not to mention, gas is 30 cents a gallon less expensive, and when you’re fueling with premium gasoline that’s a big deal. So, now we’re Costco members. Yippee!! But I’m not buying prepared appetizers at Costco! No matter how yummy they are!! This recipe was easy enough to find and easy to put together. On top of that, I’d put it up against the mass-produced Costco version (admittedly delicious) any day. It was wonderful. The cranberry sauce is tangy and lemony, yet with the warmth and savoriness of cinnamon. It was one of my favorite appetizers on New Year’s Day. I think it would also work as a Super Bowl party appetizer – the cranberries are pretty festive, but we’re not so far removed from the holidays that you couldn’t pull it off on game day. Enjoy! Add cranberries, sugar, water, orange zest, and cinnamon to saucepan over medium to medium-high heat, stirring occasionally for about 8 to 10 minutes. The cranberries will pop, the mixture will foam and subside, and the sauce will thicken as the cranberries break down. Lay a sheet of plastic wrap on the counter. Spread about 1/2 cup of the cranberry mixture onto the plastic wrap, a little longer and wider than the goat cheese log. Lay the goat cheese log on top of the cranberry sauce and spread more sauce over the top and sides of the goat cheese (much like frosting a cake). 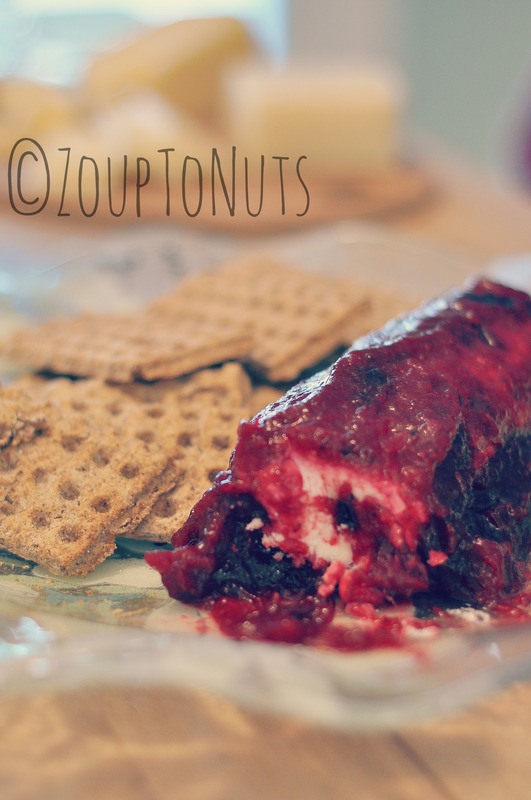 There should be about 1/4-inch thick layer of cranberry sauce over all the sides of the goat cheese. 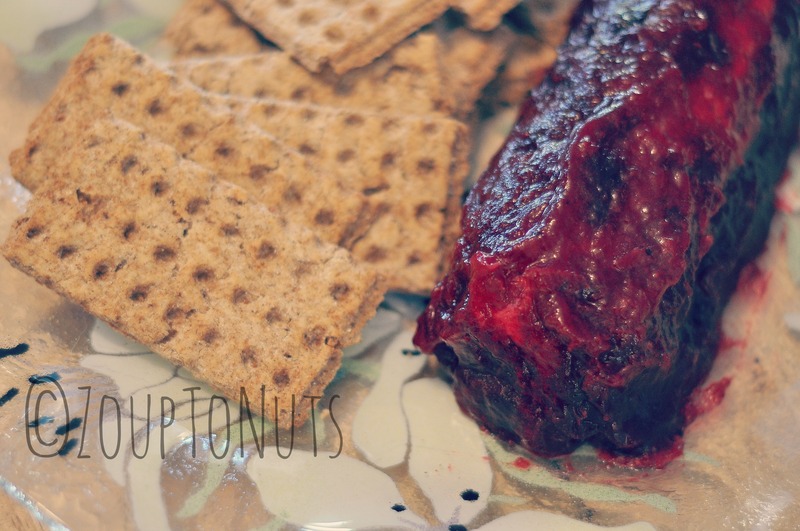 Wrap the plastic wrap around the cranberry-coated goat cheese log and refrigerate. Remove the goat cheese from the refrigerator about 30 minutes before serving to allow the cheese to slightly soften and become easier to spread. Remove plastic wrap before serving! Isn’t summer all about homegrown tomatoes and garden-fresh herbs? I mean, I’d be hard pressed to ever grow tired of tomatoes chopped into salads or drizzled with balsamic over Buffalo mozzarella, but I’m not opposed to using the season’s bounty in new and unique ways. I pulled this recipe from the June issue of Cooking Light; enticed by the variety of savory flavors, the textures, the colors, and the opportunity to use a few garden-fresh ingredients. 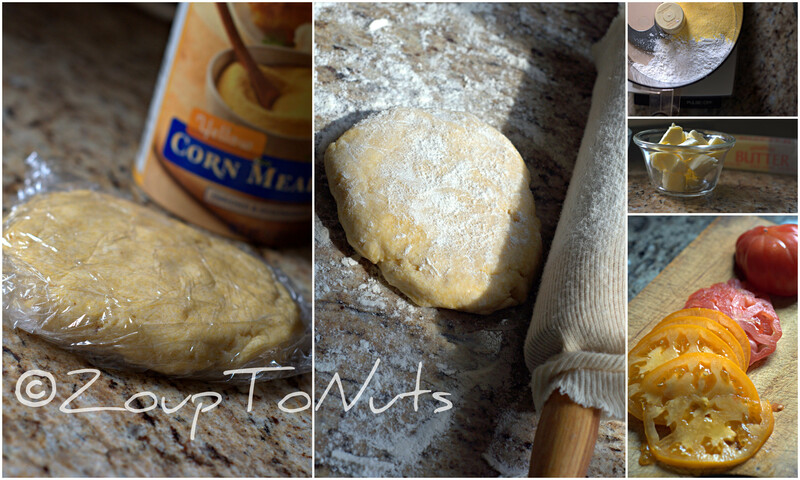 The cornmeal dough is easy-peasy to whip up, rolled out nicely, and created a beautiful crust. Despite the fact I baked it on a really hot and muggy day, the galette was refreshing even warm from the oven. The only thing I’d suggest is cutting down on the 1/4 tsp of salt the recipe has added to the tomatoes prior to baking. I generally don’t salt tomatoes before I eat them and I found the finished product a little on the salty side for my taste. 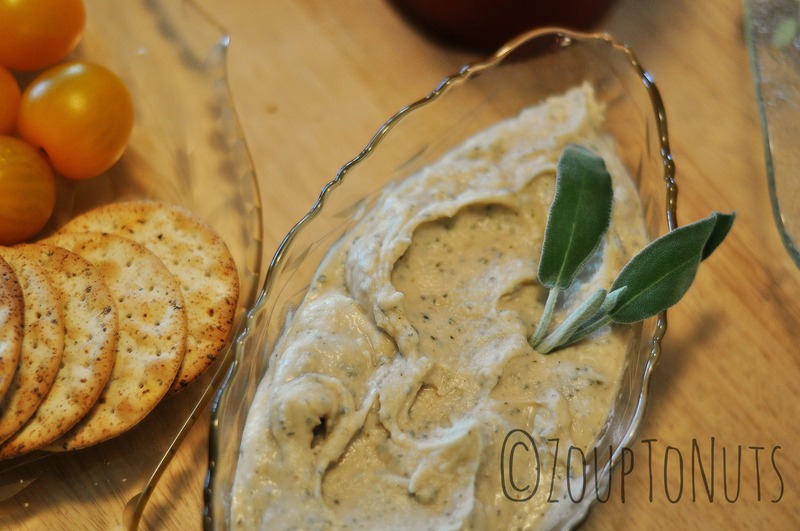 Other than that, it’s an elegant but rustic addition to a meal, or served as an appetizer with a glass of wine before dinner. Enjoy! 1. Weigh or lightly spoon flour into a dry measuring cup, and level with a knife. Combine flour, cornmeal, butter, and 1/2 teaspoon salt in a food processor; process until the mixture resembles coarse meal. With processor on, slowly add ice water through food chute, and process just until combined (do not form a ball). Gently press the mixture into a 4-inch circle on heavy-duty plastic wrap. Cover and chill for 30 minutes. 3. Unwrap dough, and roll dough into a 13-inch circle on a lightly floured surface. 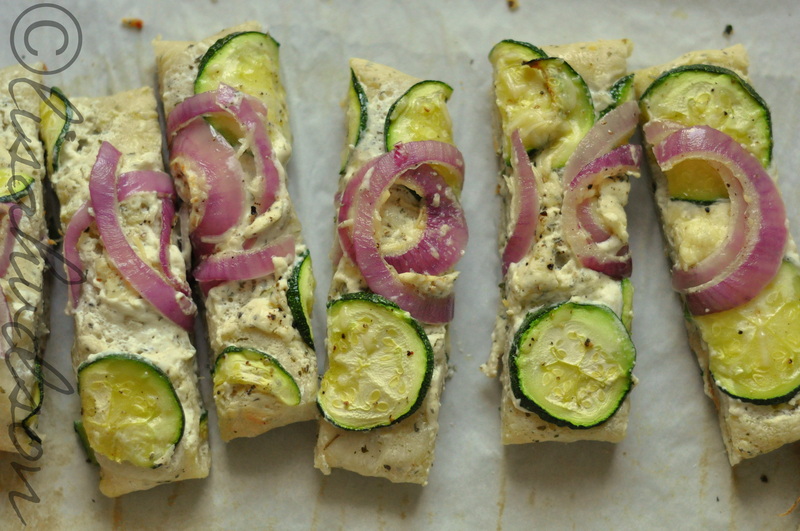 Place dough on a baking sheet lined with parchment paper. Arrange tomatoes, cut sides up, on top of dough, leaving a 1 1/2-inch border. Sprinkle with the remaining 1/4 teaspoon salt and pepper. 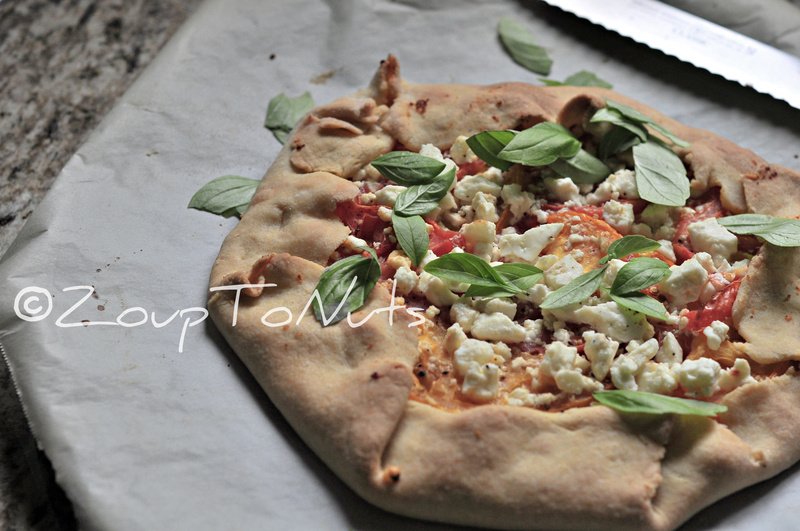 Fold edges of dough over tomatoes to partially cover. Bake at 425° for 25 minutes or until golden brown. Sprinkle evenly with cheese. Bake an additional 5 minutes. Cool for 5 minutes, and sprinkle with basil. Cut into 8 wedges and serve. This salad is super easy to prepare and makes a really bright, festive addition to summer meals. It combines sweet corn, black beans, juicy tomatoes and zesty cilantro, blended with a simple rice vinegar and lime dressing. You can serve it with tortilla chips for dipping, but it works beautifully as a side dish, too. Somewhere in a couple of cross-country moves, I lost my original recipe. 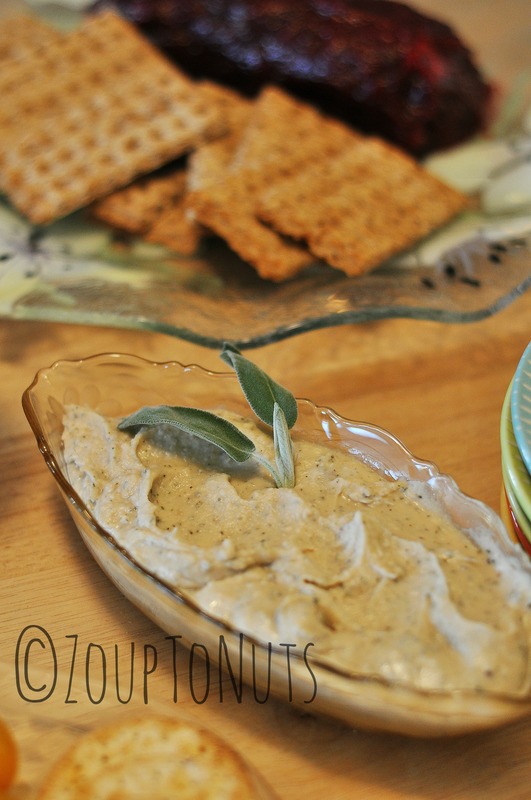 This one is adapted from a very similar recipe from Whole Foods. Their recipe called for red bell pepper instead of tomato. But, since we have a garden full of ripe tomatoes, I substituted them in and, honestly, think it’s better with the tomatoes. Personal preference, though. Use what you like. Enjoy! Combine corn, beans and diced tomato. Rinse minced onions in cold water to remove some of their sharp, acidic flavor; pat dry and add to corn, bean and tomato mixture. In a large bowl, whisk together vinegar, olive oil, lime juice, salt and pepper to make a dressing. 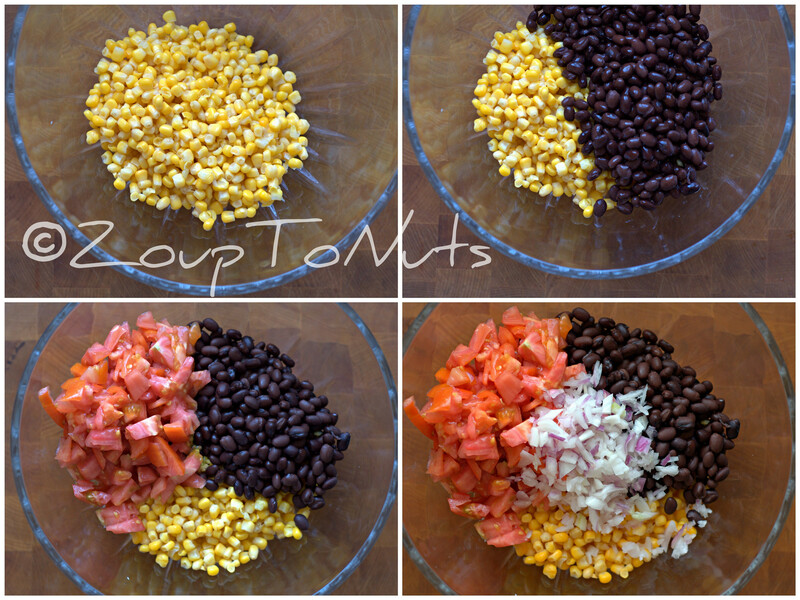 Add beans, corn, onion and tomato and toss until just incorporated. Cover and chill for about 2 hours. Add cilantro and toss again before serving.